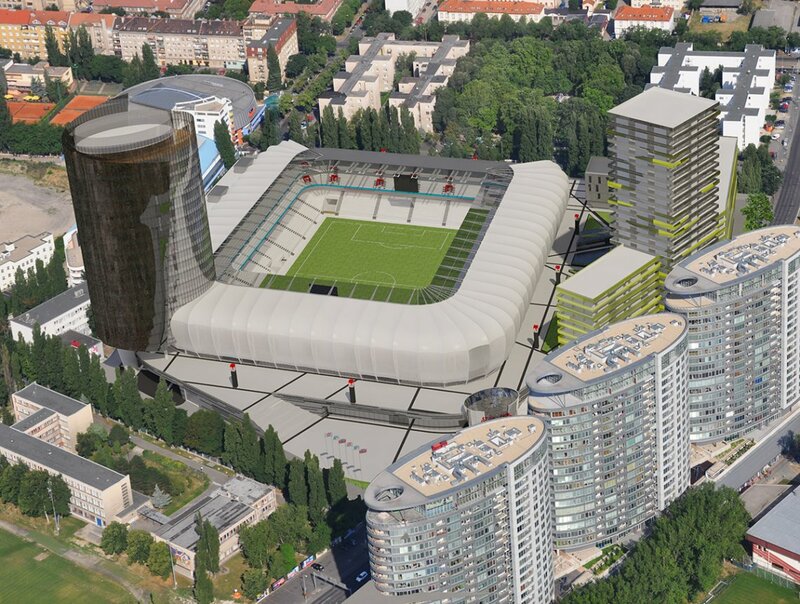 The objective of the project was to construct a National Football Stadium which would fulfil the UEFA criteria. The building will also accommodate retail stores, an information centre and the administration offices. 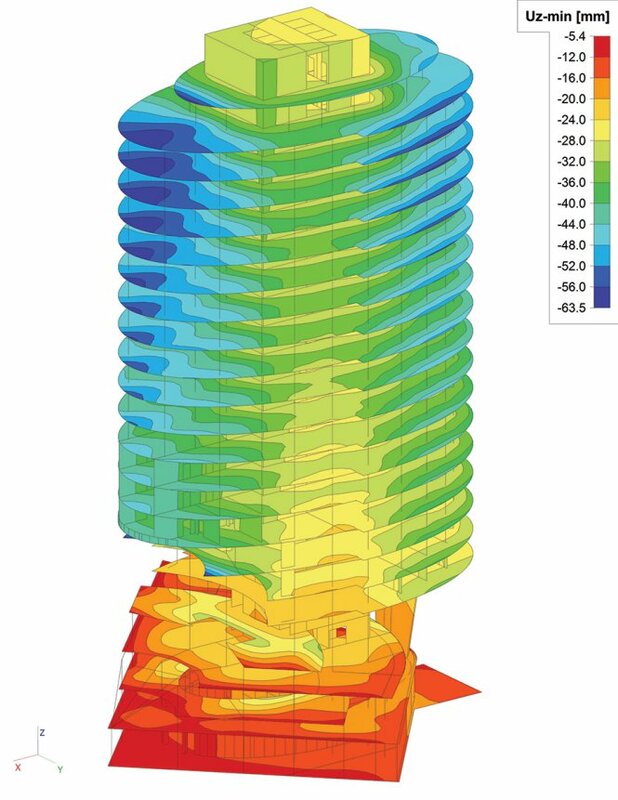 A complex, three-dimensional structural model was created in SCIA Engineer. 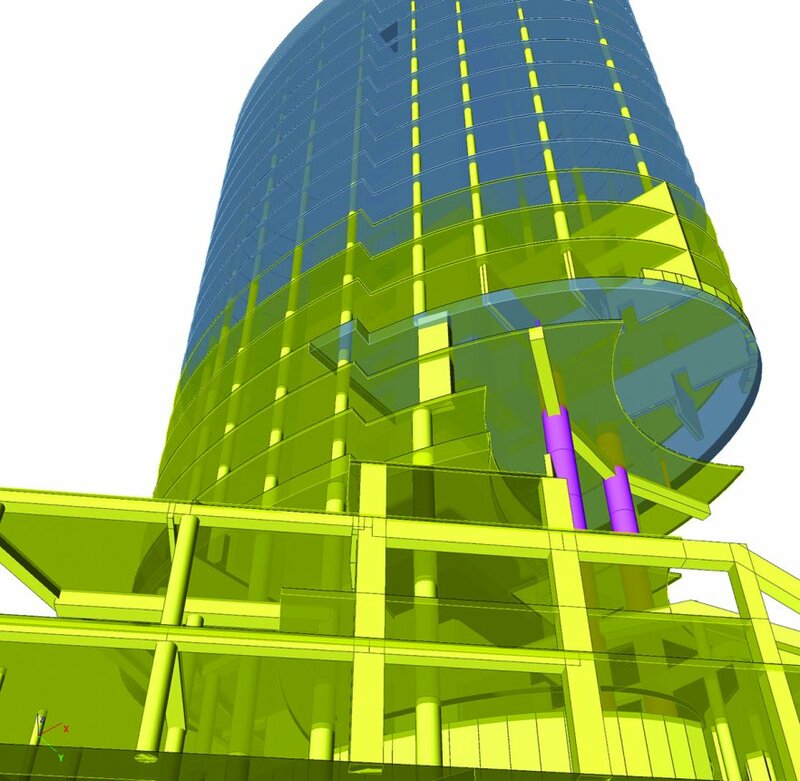 The model enabled us to design effectively and optimise the load-bearing structural system. It was especially useful in identifying the flow of internal forces in the structural members when the load-bearing system on the fourth and sixth floor changed. 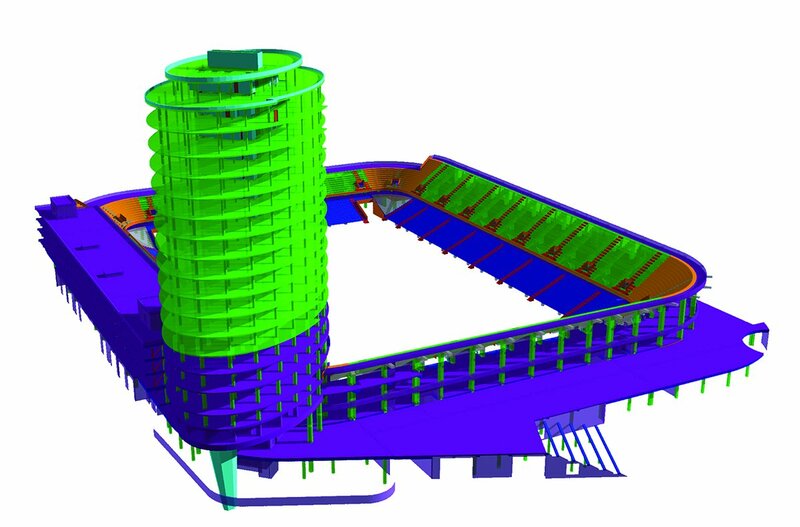 As a result, correct and efficient dimensioning of the structural members was achieved. There is a 1.25 m thick ceiling slab on the fourth floor. 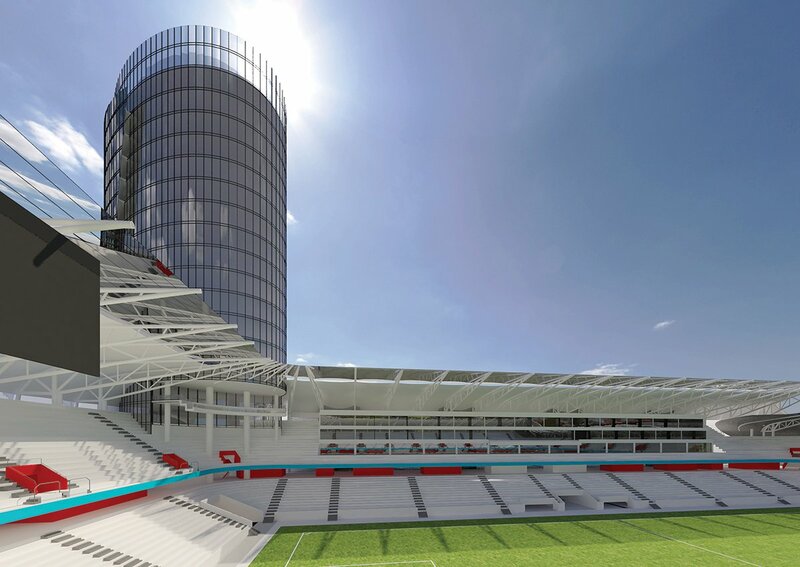 The columns from the upper part of the building terminate on the sixth floor and the forces are then transferred via transverse walls to the two columns of the oval cross-section. Part of the sixth floor is made from the 1,000 mm thick slab. Engineering Office: De Bondt, s.r.o.